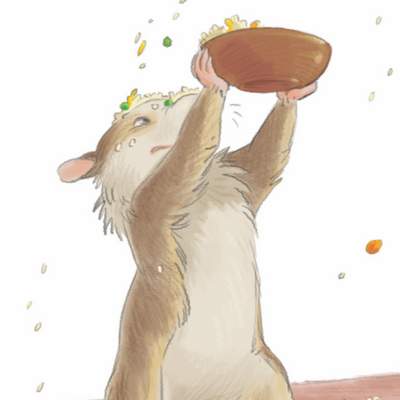 Hammy is a small hamster and is extremely fond of food. 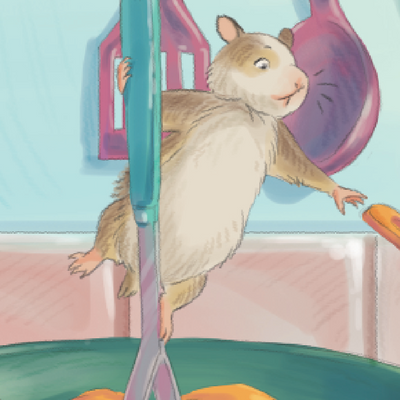 As long as food is at around, Hammy is sure to be found. 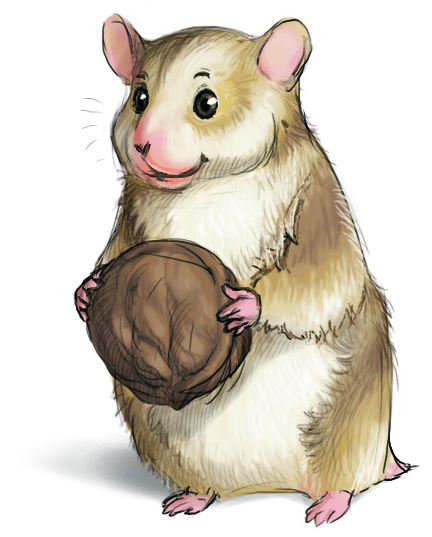 Being a young boy hamster, Hammy is a bit childish and clumsy. His is extremly Cute. Clueless at times. But he is super sweet in his naiveté. He adds a great comical element to the friends adventures. 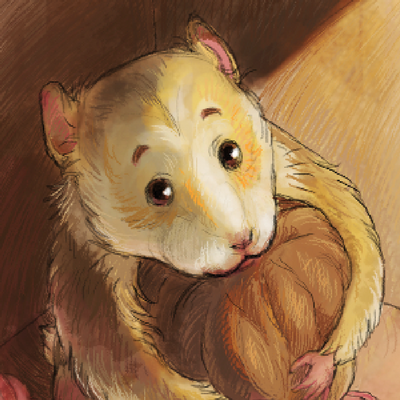 This little hamster is lovable and just plain entertainingly silly!